S.W.A.T. (Stop. 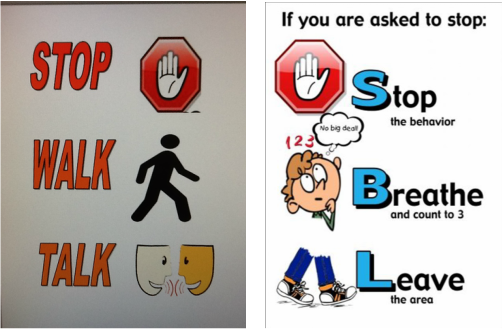 Walk and Talk) is the universal system for addressing conflict management among students at Zahnow. This system is an extension of Zahnow’s Bulldog B’s and the PBIS philosophy of teaching behavior expectations. S.W.A.T. is introduced to students on the first day of school. Posters outlining S.W.A.T. steps are hung in each classroom and reviewed by the classroom teacher. By using S.W.A.T., the staff will teach all students what to do when they encounter behavior that is not respectful or safe. The three prongs are: What to do if someone is not being respectful to you. What to do if you encounter someone not being respectful to someone else. And what to do if someone tells you that you are not being respectful.